Size of this preview: 800 × 403 pixels. Other resolutions: 320 × 161 pixels | 640 × 322 pixels | 1,024 × 515 pixels | 1,280 × 644 pixels | 2,058 × 1,036 pixels. English: The world on Mollweide projection. 15° graticule. Imagery is a derivative of NASA’s Blue Marble summer month composite with oceans lightened to enhance legibility and contrast. 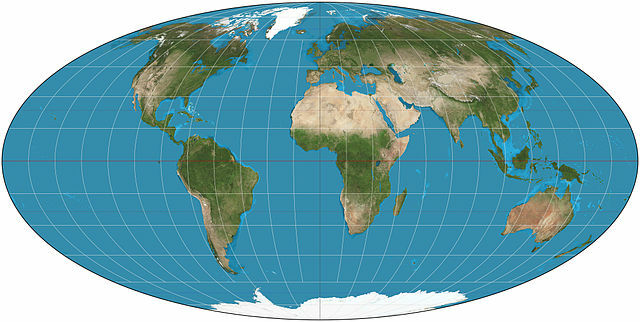 Image created with the Geocart map projection software. This page was last edited on 26 November 2016, at 01:01.